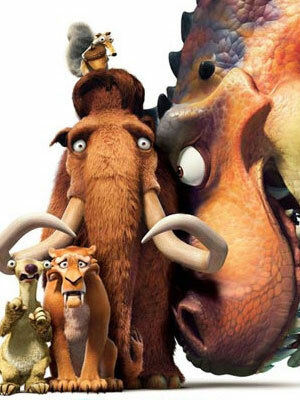 Everyone’s favorite dysfunctional prehistoric herd is back for a third crack at the ice age, and this time, the dinosaurs are joining the adventure! If Jurassic Park has taught us anything, you know just how fun things get with those cute, scaly reptiles. But while the dinosaurs aren’t exactly dawning, as the misleading subtitle says they are, what remains true is that Ice Age has not lost its touch. It’s a fun and entertaining adventure, not just for the whole family to enjoy, but for everyone with a sense of humor. Manny the overbearing, soon-to-be-dad mammoth amusingly delivers his lines with his trademark dryness, while Sid, that goofball of a sloth, is still too endearing to be hated for his stupidity. Crash and Eddie, the awesome possum brothers, will have you laughing out loud ‘til you’re dead. Scrat, the nut-obsessed squirrel, pops up from time to time in what has to be the best movie fillers ever.